In operation for nearly fifteen years, Guide provides effective, HIPAA-compliant products for your business. As well as specializing in enterprise-level software development, we provide the complete media know-how to make us your total-solution provider. Guide is very proud to have played a pivotal role in the design and development of the HealthyCircles care-coordination platform. The platform encompasses a vast set of tools devised to connecting care teams and delivering transitional care. 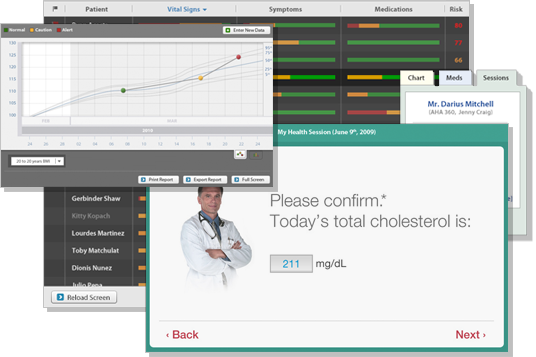 Major features include medication reminders, coaching tools, and an exception management dashboard; allowing for the remote care of thousands of patients within a single view. 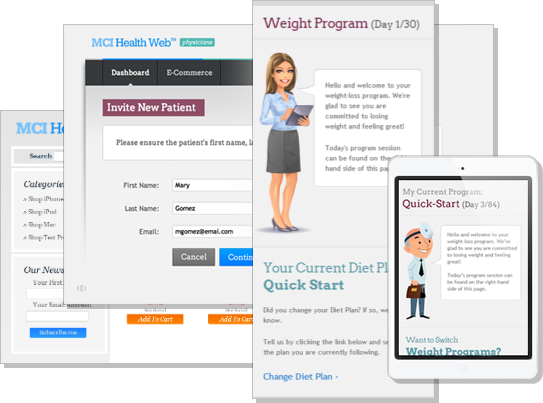 When MCI Health had approached Guide, they were seeking a partner to bring their proprietary, physician-designed weight loss programs to the web. Guide acted in the capacity of designer and developer of the software but also as a consultant, assisting the client in realizing their vision. The product is a secure, online portal providing a friendly interface to assisted weight loss. By way of daily surveys, members are encouraged to participate in engaging health programs, designed to monitor and encourage their progress. 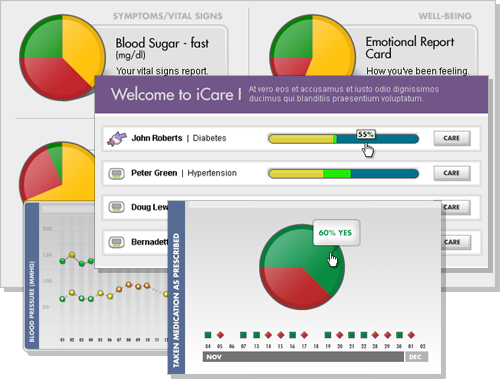 Guide's role in the iCare Informations System platform transcended that of a typical software development firm. Beginning with the discovery of what was to become this vast enterprise-level software platform, Guide went on to design and develop the system from the ground-up. To supplement these services and save the client from having to procure multiple vendors, Guide also played a role in the branding and marketing of the company. This included everything from the creation of logos, trademarks and packaging; to assisting in the design of iCare's medical devices and packaging. ©2015 Guide Productions. All rights reserved.